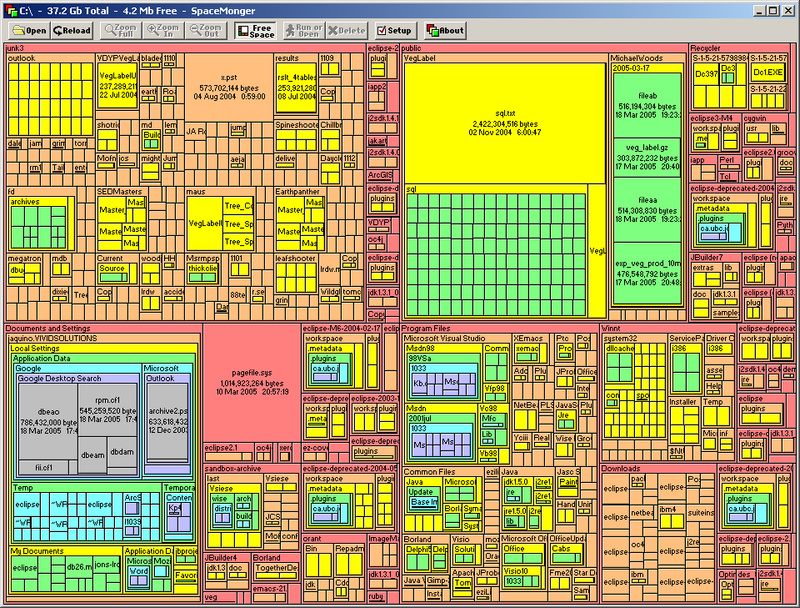 While we're on the subject of treemaps, I want to let everyone know about Spacemonger (freeware for Windows), which is a nice visualization of your hard disk using a treemap. It shows you at a glance what big files or directories are eating up the space on your hard drive. Great when you're doing some spring cleaning. posted by Jonathan at 4/02/2005 02:19:00 p.m.